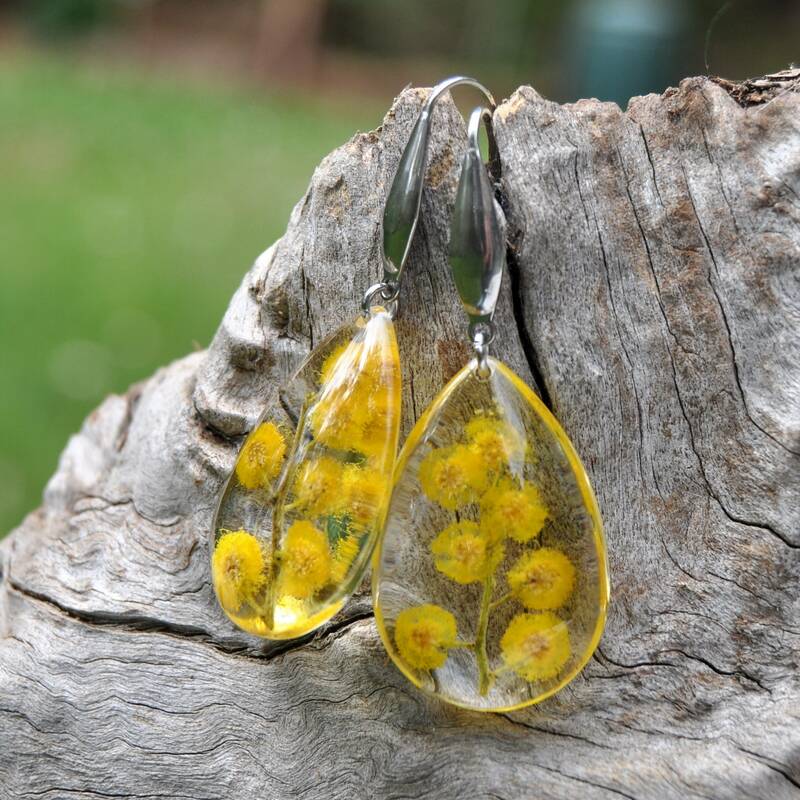 ♥ Plant: Silver Wattle, a Wattle (or Mimosa) found in south-eastern Australia. 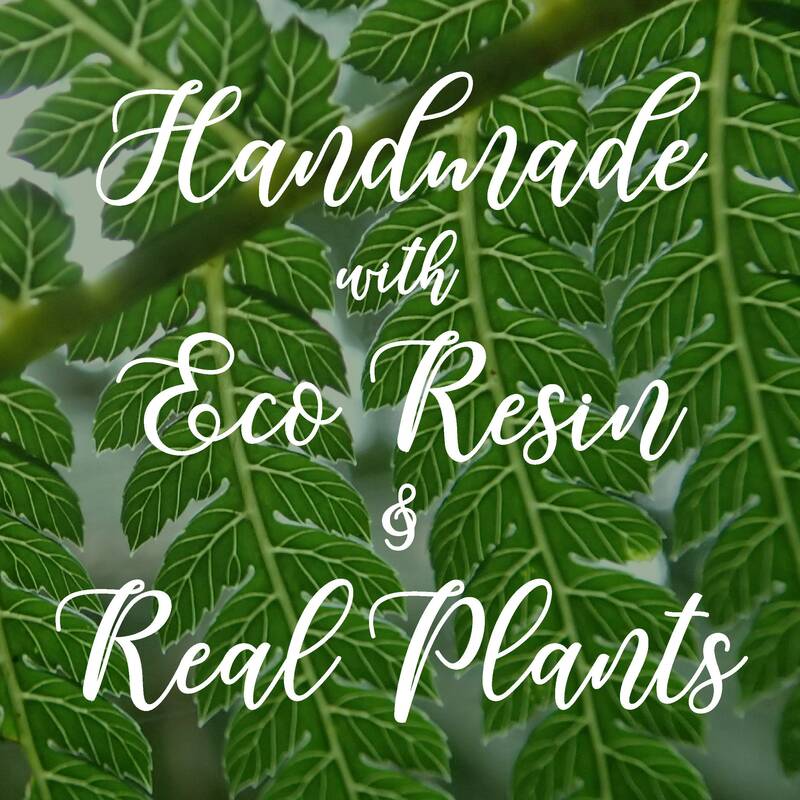 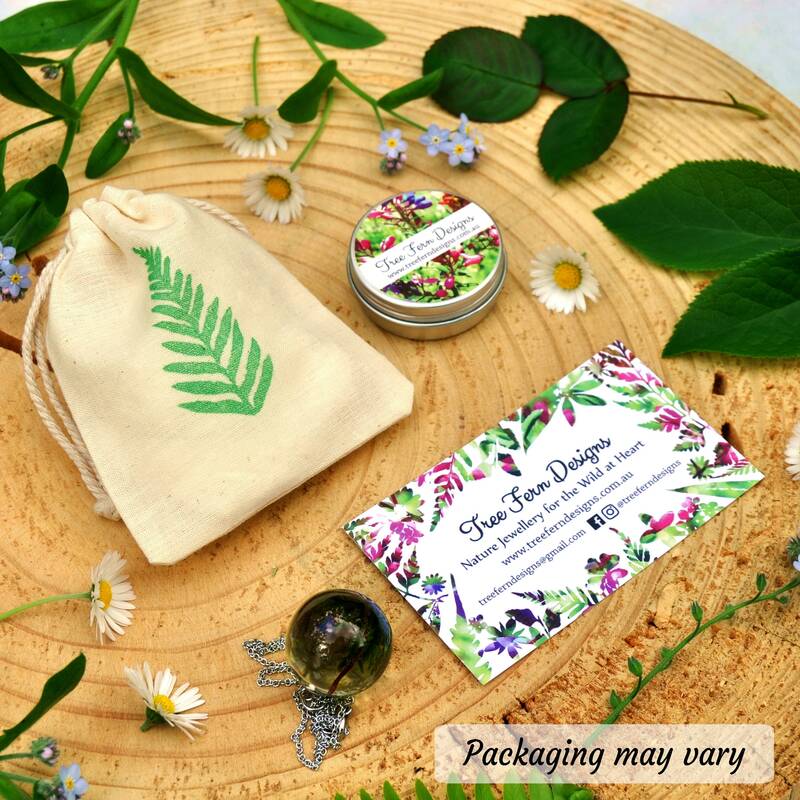 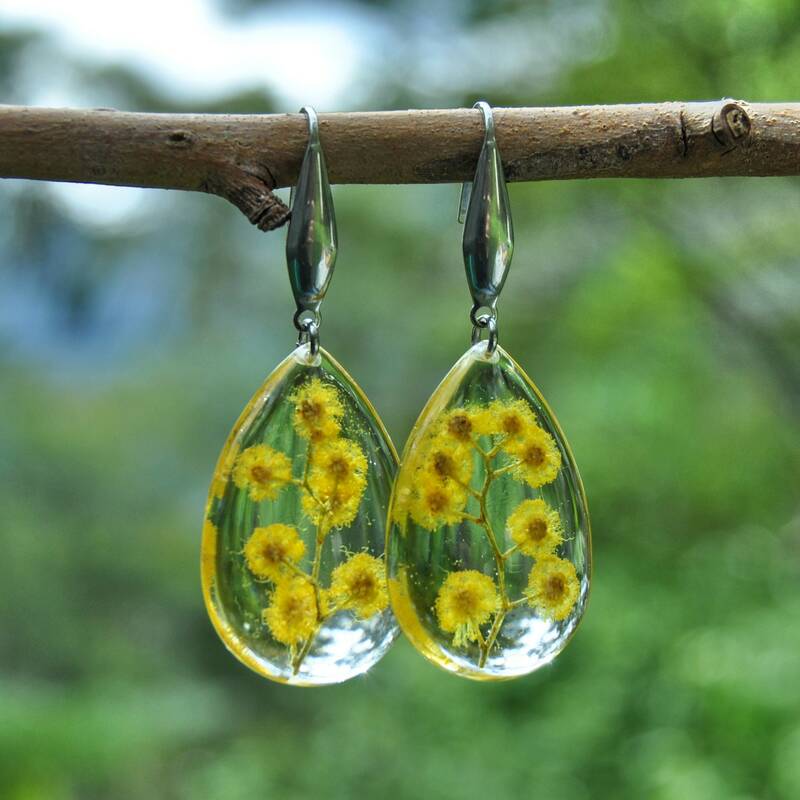 ♥ How it's made: the flowers were collected, pressed and dried, then carefully set between multiple layers of clear eco resin. 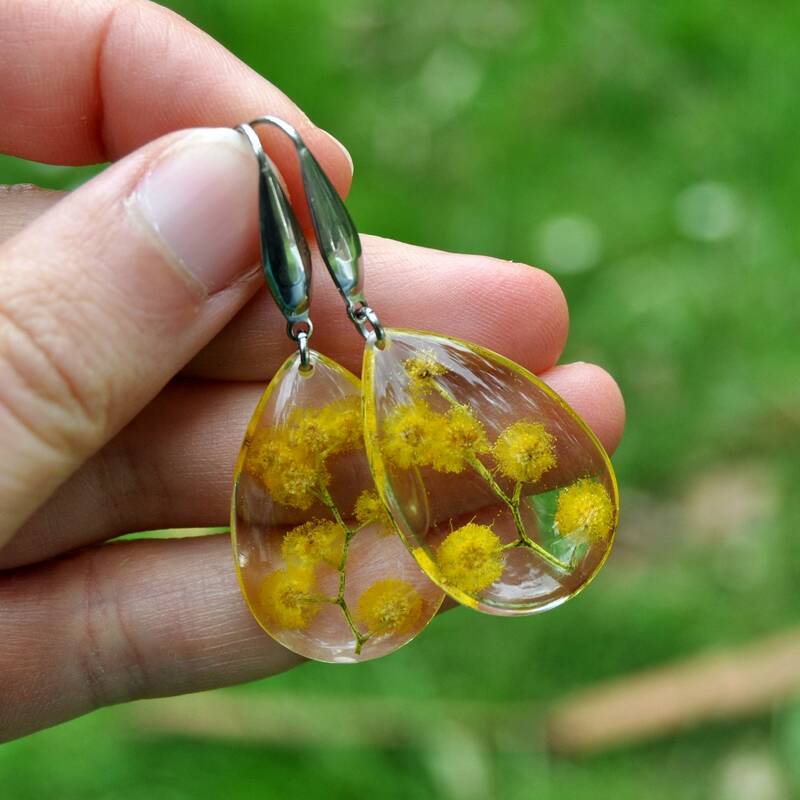 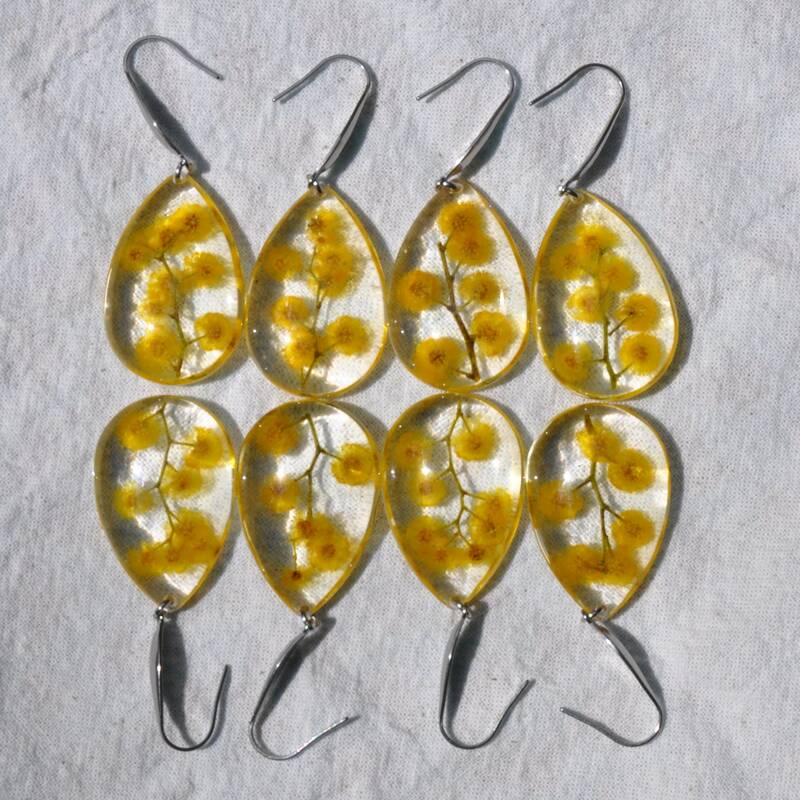 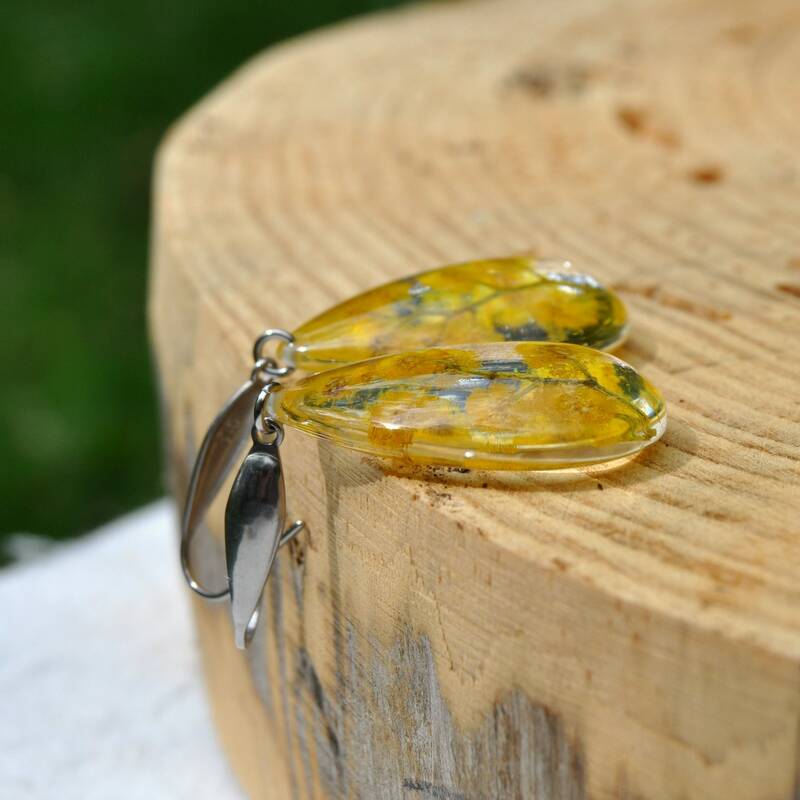 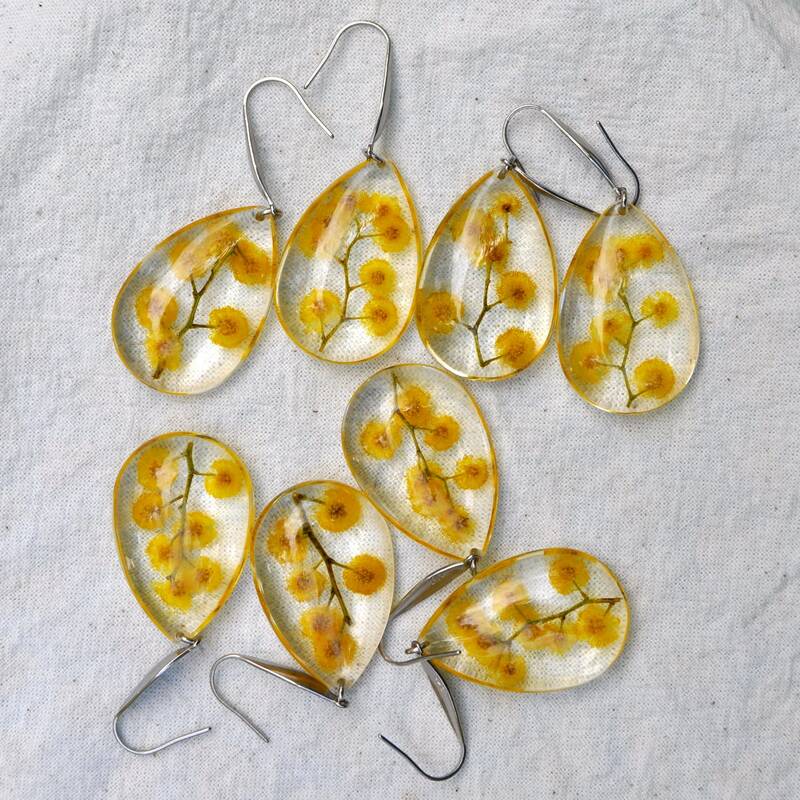 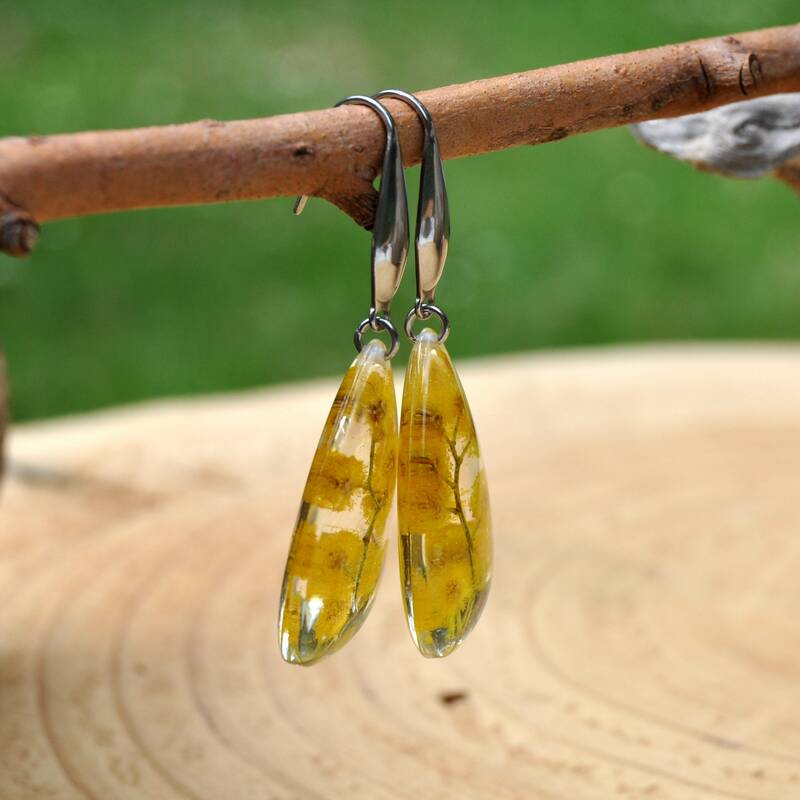 ♥ Size & Shape: These resin drop of the earrings measures about 20 mm wide and 30 mm long. 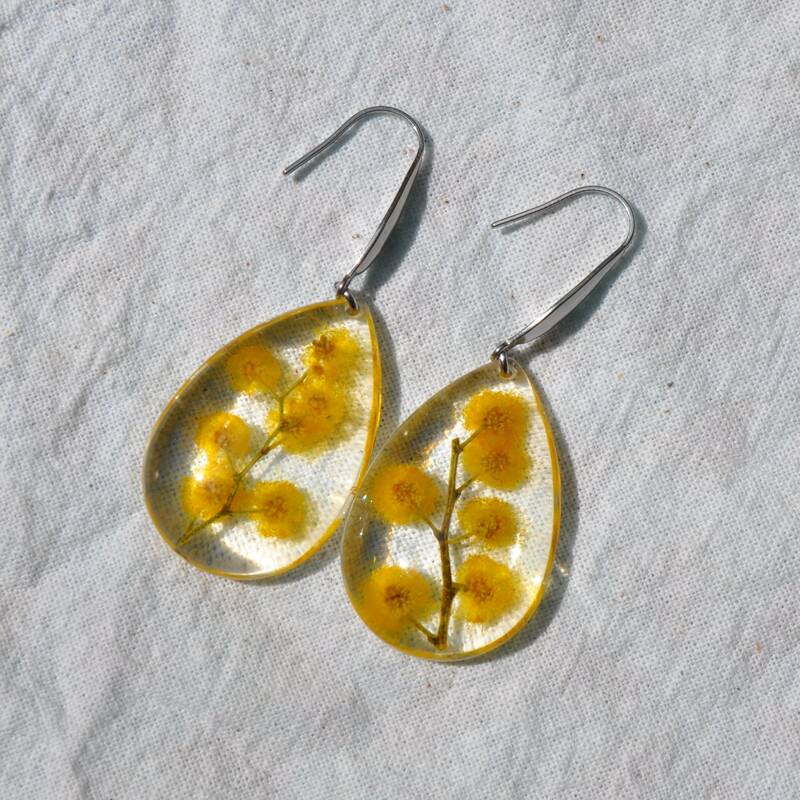 Total dangle length is about 50 mm.